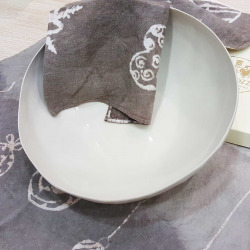 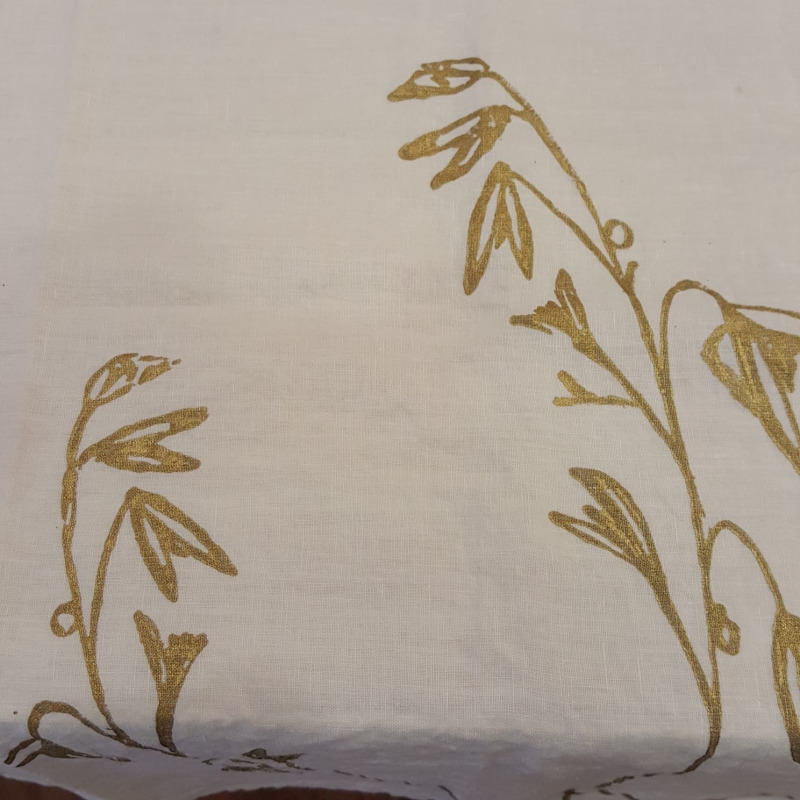 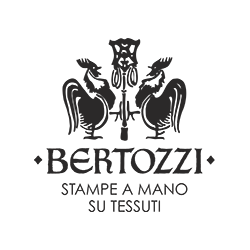 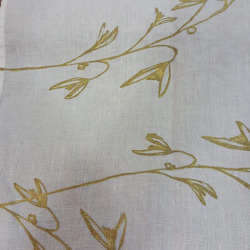 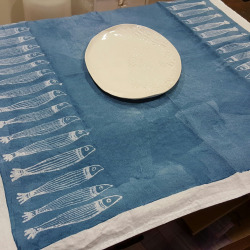 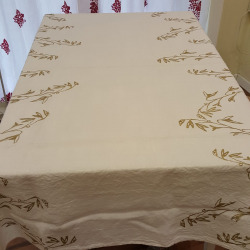 Superb tablecloth with gold print Morous collection by Stamperia Bertozzi. 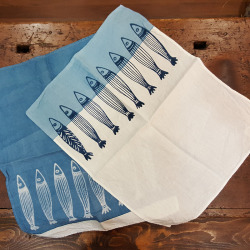 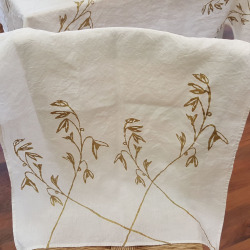 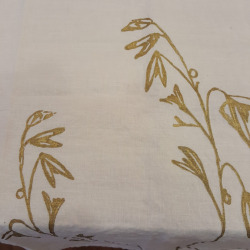 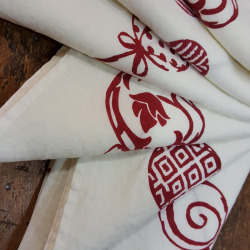 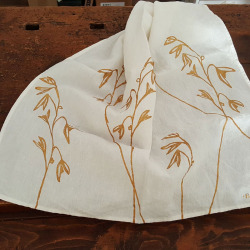 Printed by hand with originalissiimi and unique drawings made with wooden matrices and ancient printing techniques that guarantee the absorption of color by the natural fibers of linen. 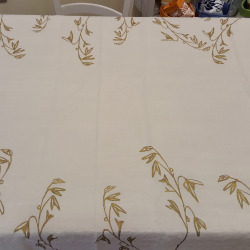 The design remains the same even after years of washing in the washing machine. 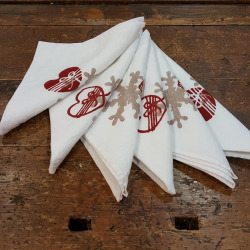 Excellent gift idea or to treat yourself at an affordable price. 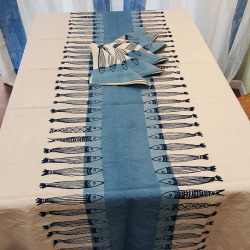 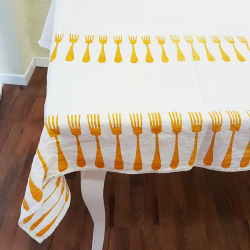 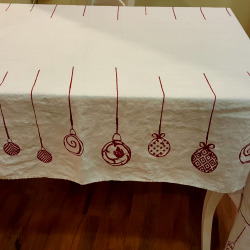 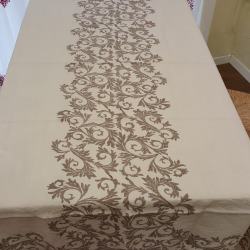 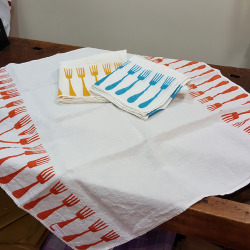 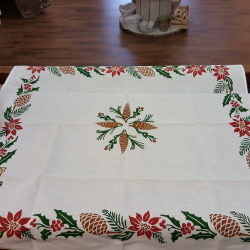 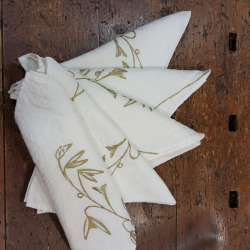 The Morous tablecloth can also be ordered with custom sizes, napkins made to order.